Social media serves up quite an audience. Is your business well-Liked? Social Media offers an enormous opportunity for reaching a vast audience. We can help you maximize its potential and get your message across to the people you’re seeking to reach. Businesses of all kinds are advertising on Facebook to get discovered, provide information, capture attention, show off products, collect leads and boost sales. We can help you choose a target audience based on demographics, behaviors or contact information. Then we’ll help you choose a goal for your advertising campaign, decide on a budget, a specific format and placement. Once your ad is up and running, we’ll help you make sense of your ad’s performance reporting metrics. Contact Island Light Creative to learn more about the advertising options on Facebook and let us help you select a strategy that’s right for your business. Talk to us about using Instagram to increase awareness of your business and its products and services, promote special offers, and share your brand story among a highly engaged audience. We can help explain the different ad types available on Instagram, and can assist with setting objectives for your campaign, targeting the right audience, allocating an effective ad budget, placing your ad, and tracking the results. If you’re interested in advertising on Instagram, contact us for help getting started today. In an average month, 18+-year-olds in the U.S. spend more time watching YouTube than any television network. On mobile devices alone, more 18- to 49-year olds watch YouTube during prime time in the U.S. than they do the top prime time TV shows combined. To get started with YouTube advertising, drop us a line and we’ll walk you through the options and help get your business all set up. 89% of 18-29 year-olds are on a social media network. More than 375 million people use TripAdvisor every month. TripAdvisor offers a variety of targeted advertising options in a range of formats to ensure your message is reaching the right users at the right time, whether they are planning their next trip, looking for a new local hotspot, or actively exploring a new destination. We can help promote your business on TripAdvisor and increase your engagement with travelers and trip planners in a highly impactful way. Talk to us about developing a customized strategy to fit your budget, objectives, and target audience. We’ll work with you to integrate TripAdvisor content with your marketing materials to create a more organic experience and increase customers, clients and sales. We’ll help your business reach the right audience by targeting their interests, location, or other specific criteria. Then we’ll maximize the relevancy of your message by using the keywords (hashtags) your target audience is likely to be interested in. 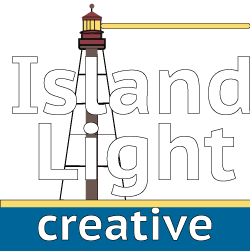 Contact Island Light Creative to learn more about using Twitter to promote your business today. Pinterest sees more than 175 million visitors every month. People visit Pinterest looking for ideas about things to create, places to visit, and much more. ‘Pins’ can help its audience understand what your brand stands for and how it can fit into their lives. Everything people do on Pinterest leads them closer to action. They do more than browse feeds: 70% search, save or click on a Pin. Since people use Pinterest across the consumer journey, your brand can play a role all the way from inspiration to purchase. Contact us to learn more about the benefits of advertising on Pinterest. Snapchat reaches 166 million active Snapchatters daily. We can help you set up a Snapchat account to help promote your business and reach a highly targeted audience with a range of advertising options. Contact Island Light Creative to find out more.